& Wire wheels with white sidewall tires! 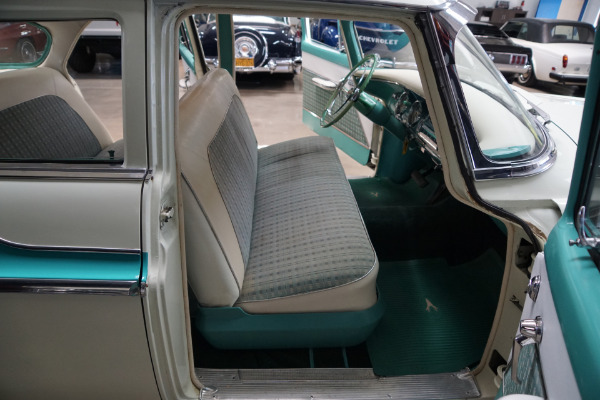 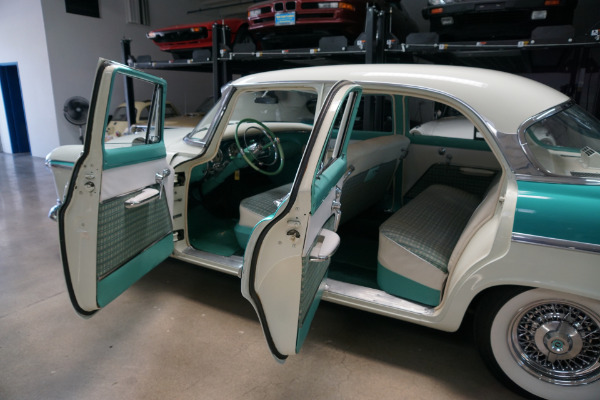 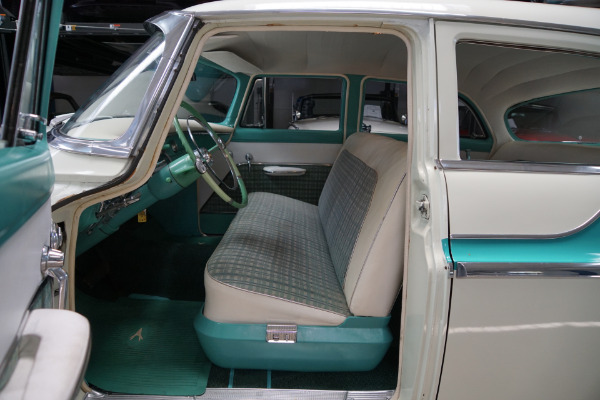 One of very few such remaining examples in such wonderful daily driving shape and with extremely rare add factory options including PS, PB, PW, P. Seats & factory air conditioning which alone cost $570 in 1955 and which is consequently extraordinarily rare! 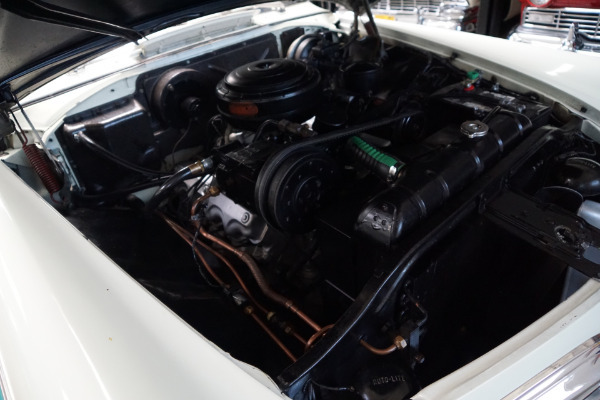 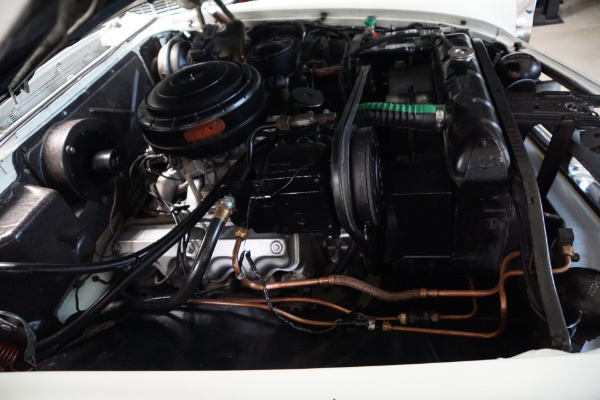 This particular car has obviously been owned since new by only very careful and mature owners and it is a car which has seemingly always been garaged as it is both a rust and accident free true survivor which drives as good as it looks, a truly remarkable daily driving car! 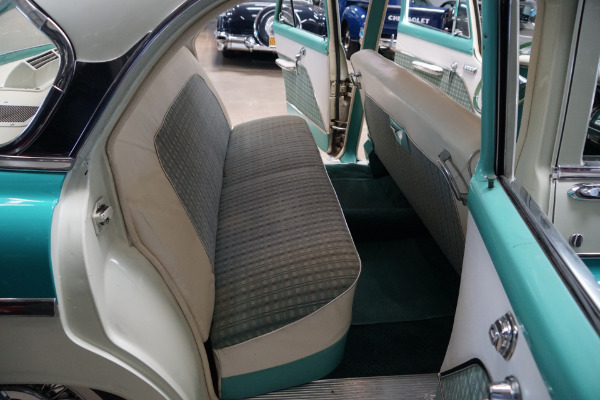 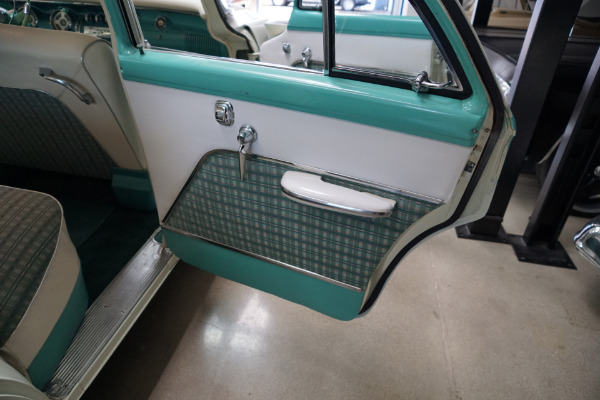 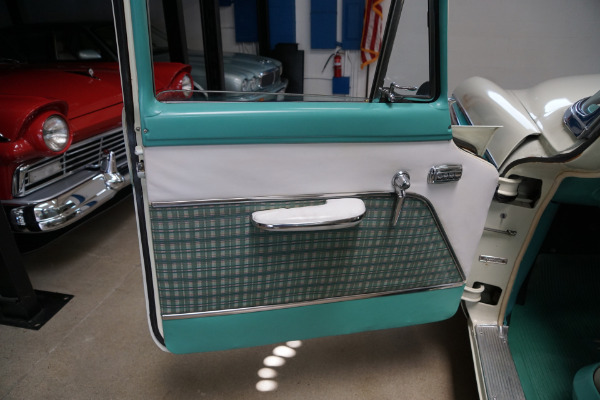 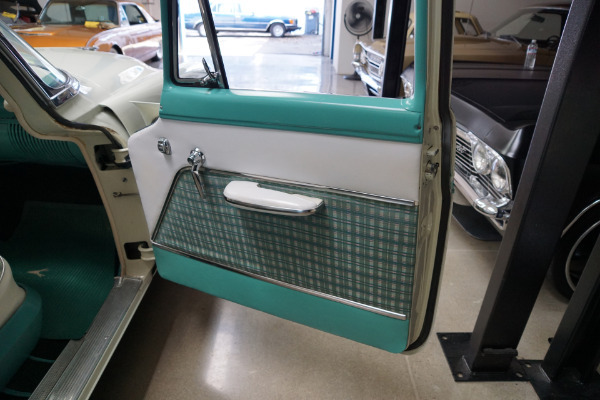 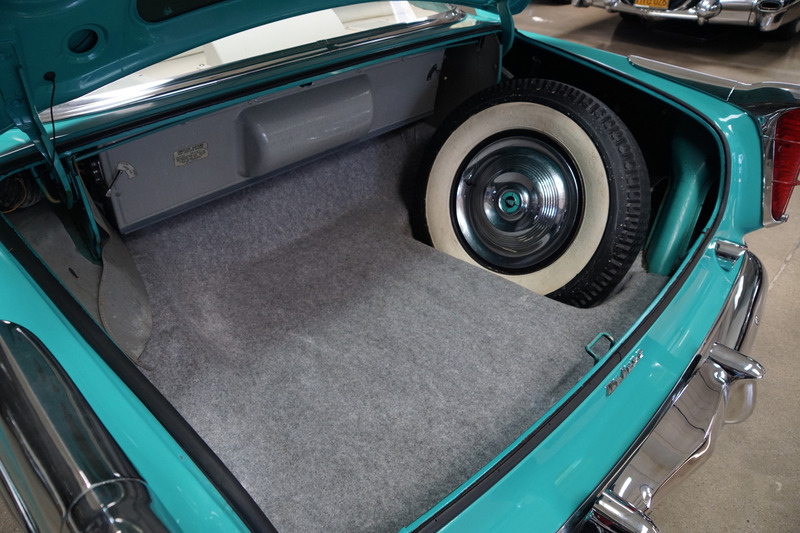 The car boasts an also very rare two-tone 'Heron Blue over White' color paint with a beautiful contrasting Blue & Gray pattern cloth trim. The 301 2 barrel V8 engine is extremely strong and powerful and sounds absolutely magnificent and this particular car drives absolutely magnificently - must be driven to be believed - does not miss a beat and purrs like a kitten - drives straight as an arrow with no strange road wobbles, shakes or rattles - a truly remarkable daily driver that will give any modern day car a run for it's money! 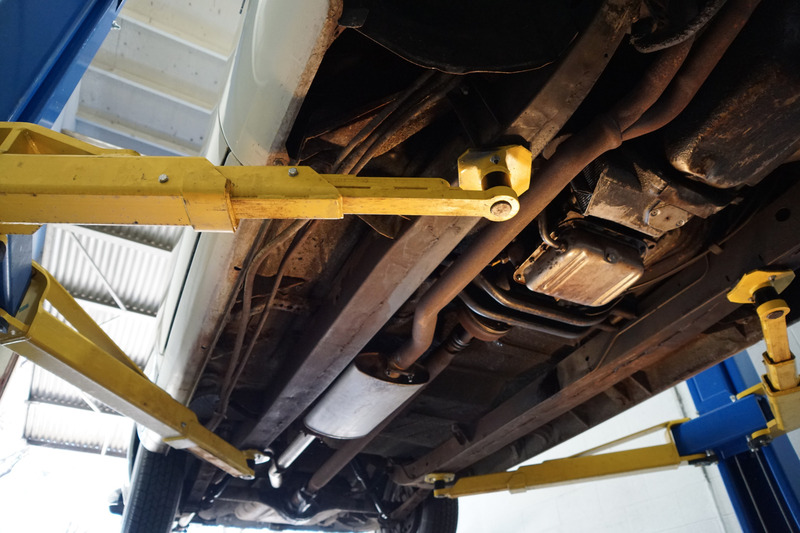 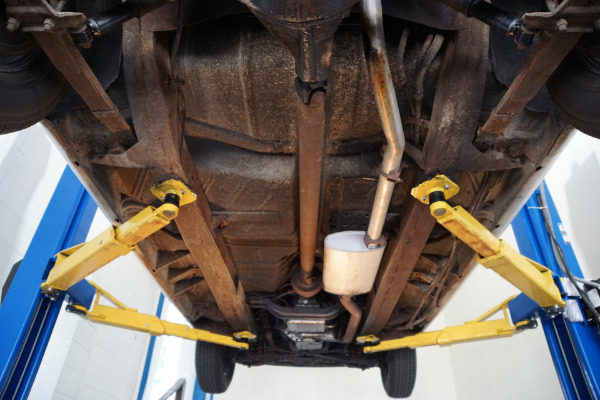 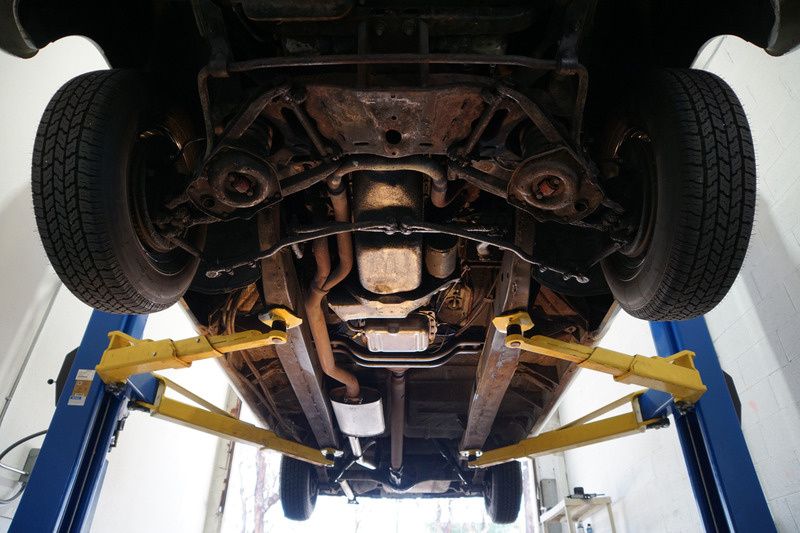 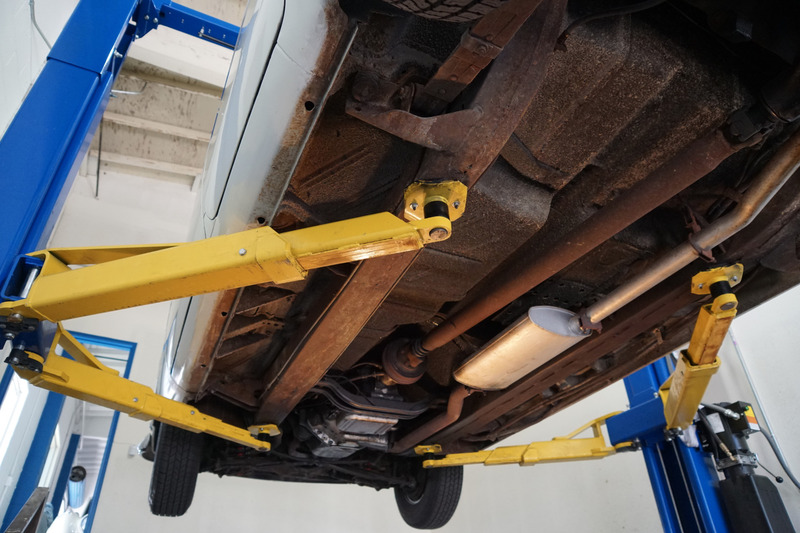 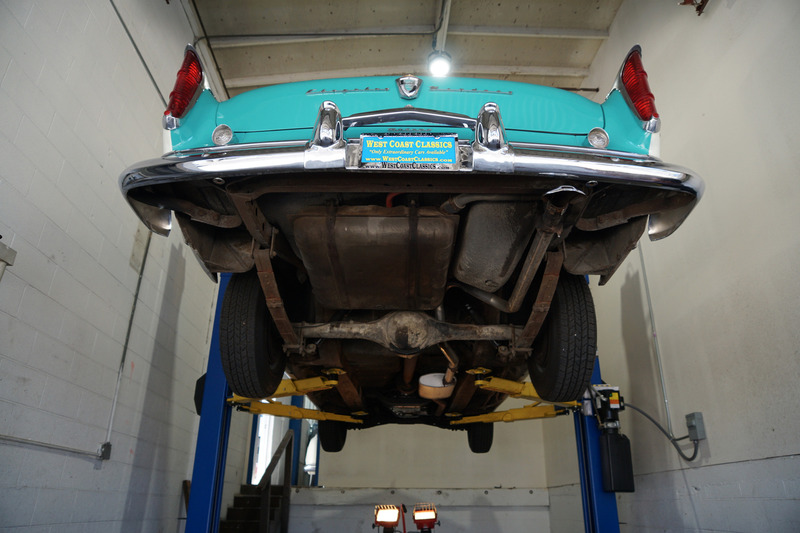 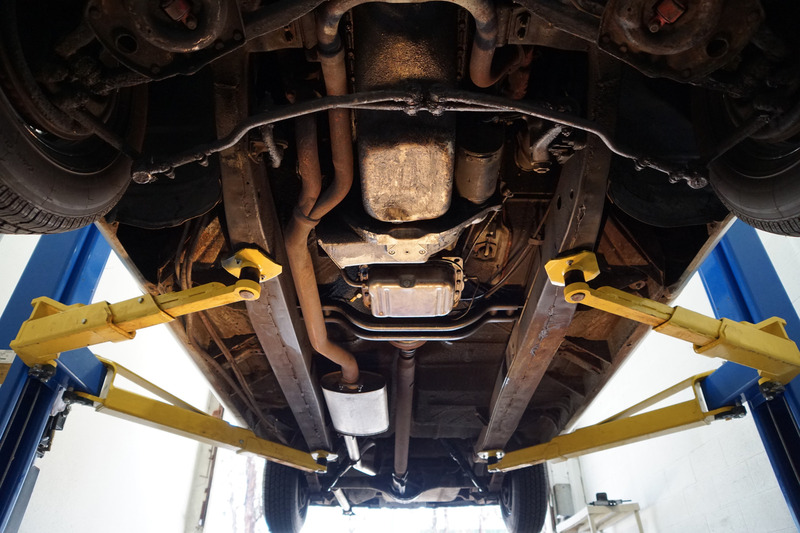 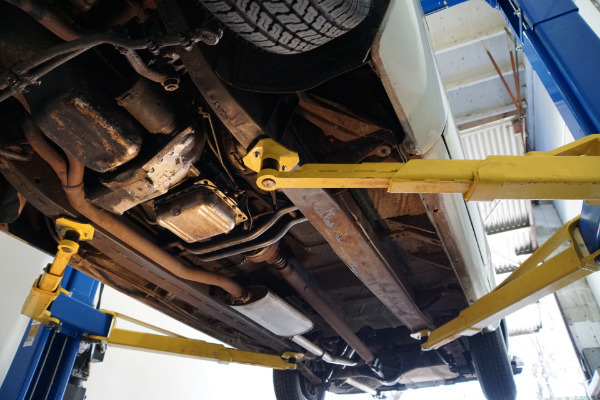 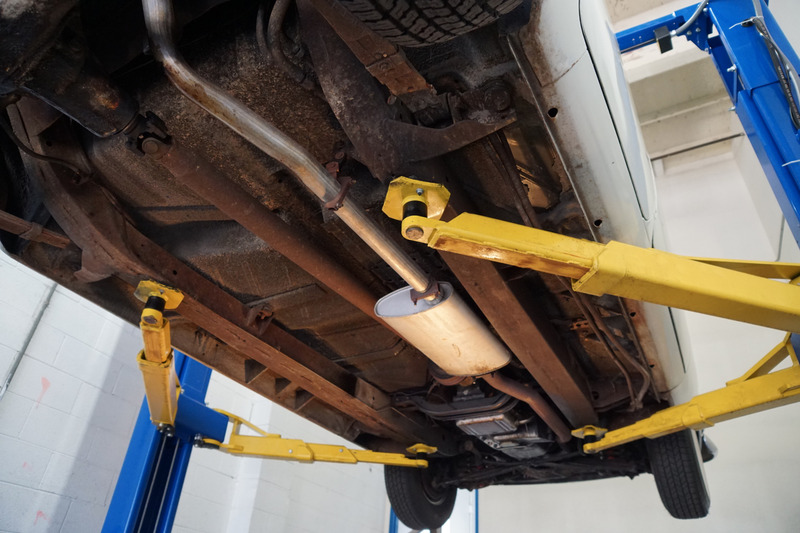 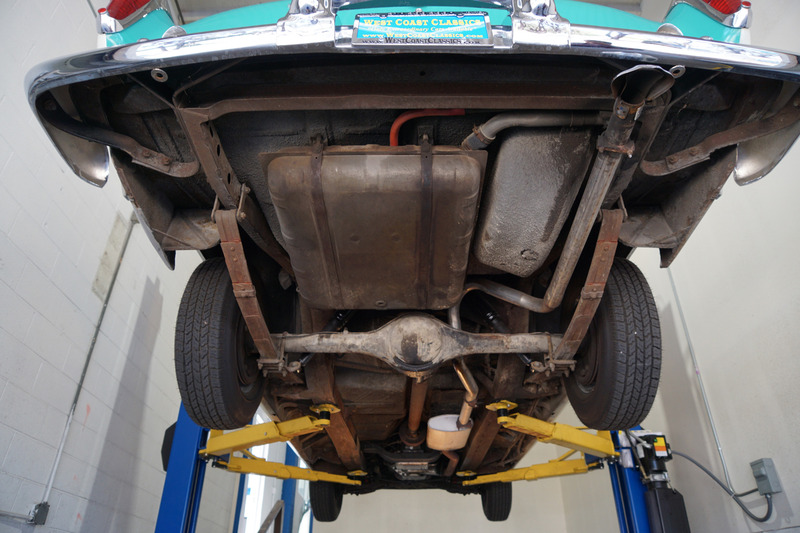 The PowerFlite transmission shifts smoothly through the gears and the car is an absolute pleasure to drive! 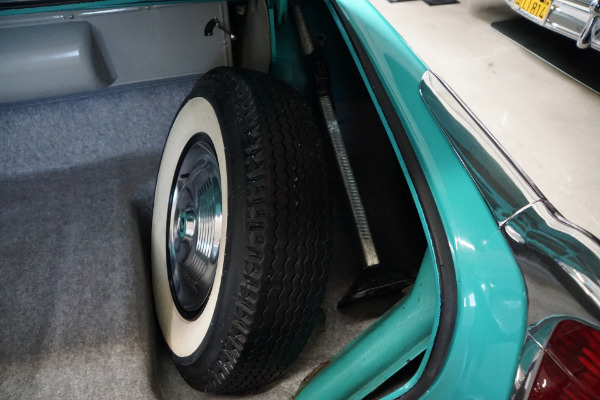 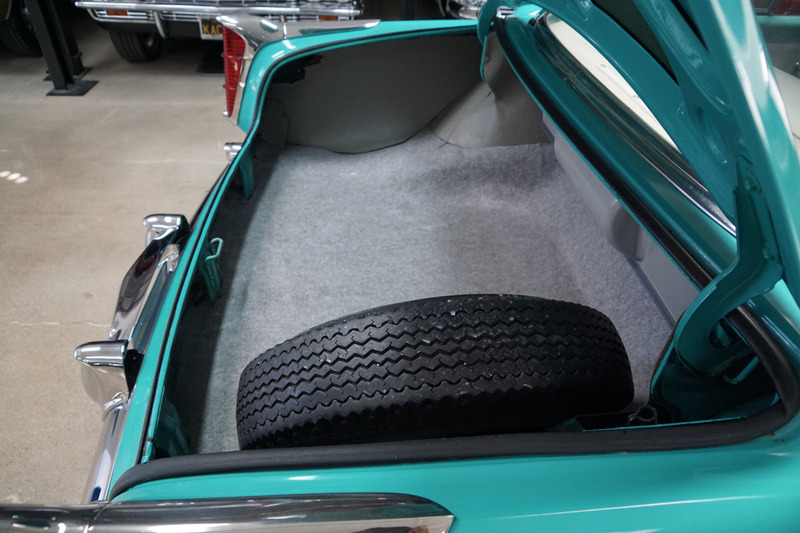 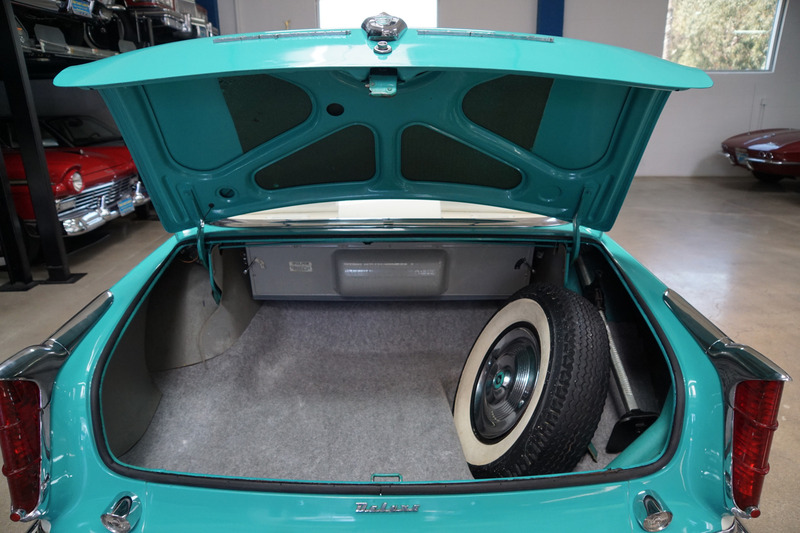 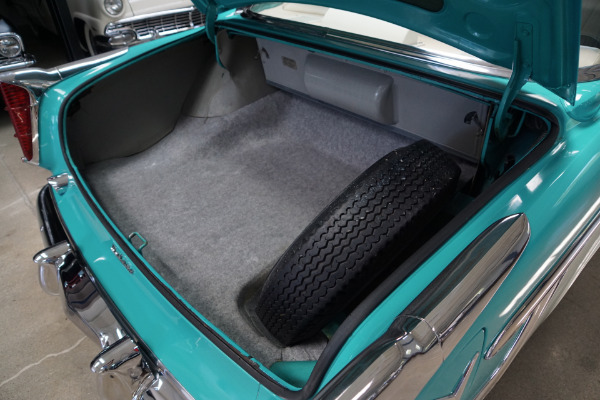 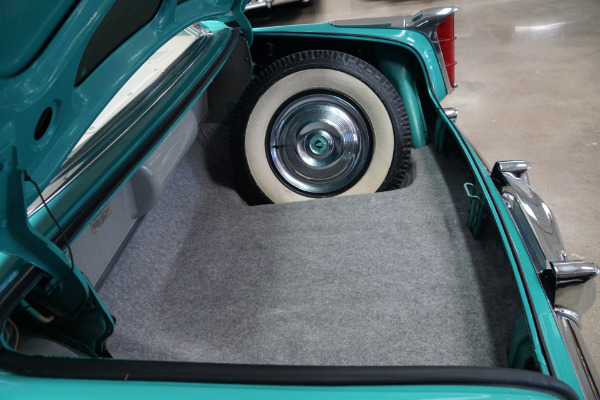 The car has obviously always been well maintained and the car boasts its original spare wheel and jack in the truck! 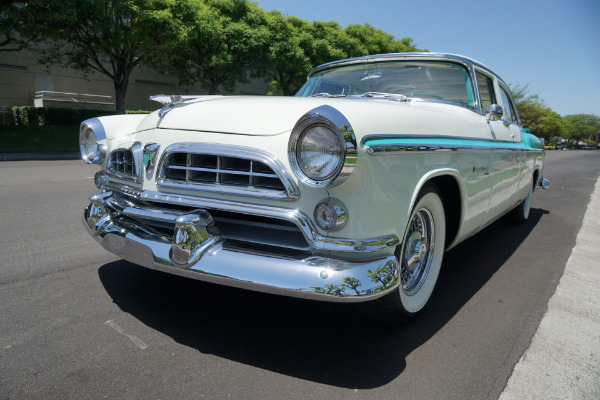 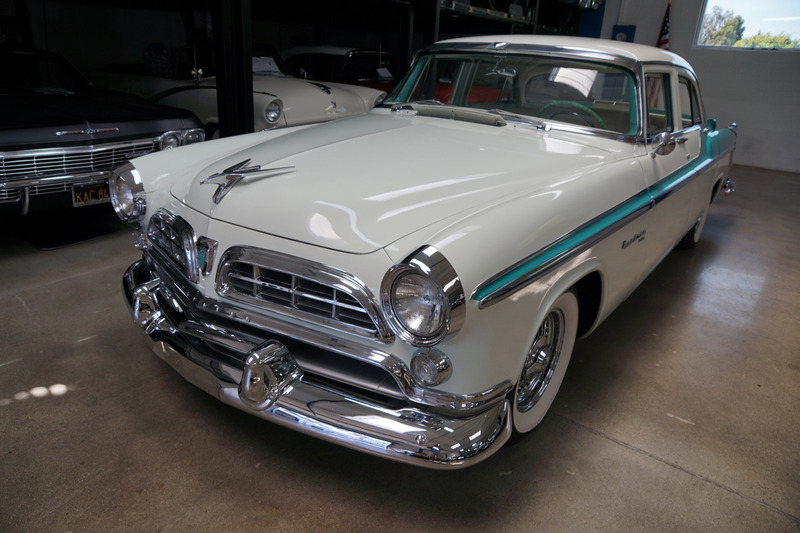 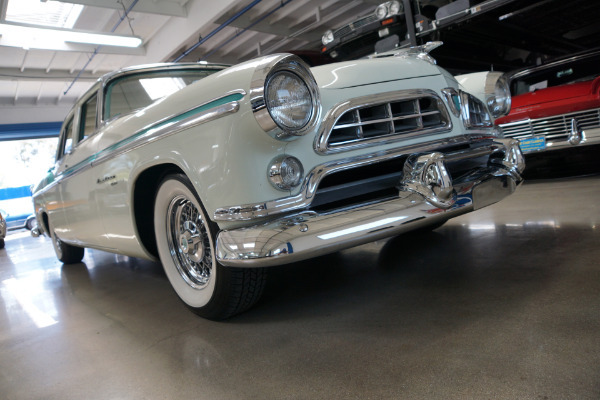 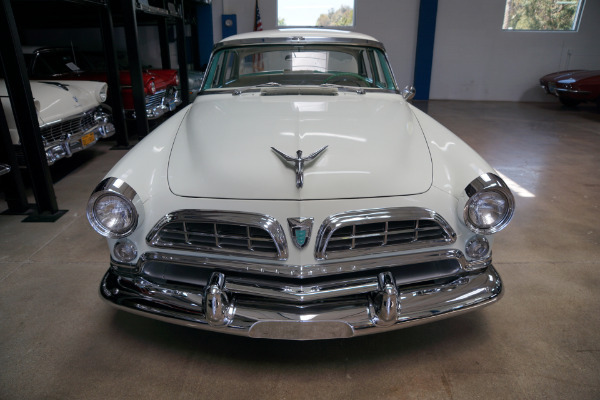 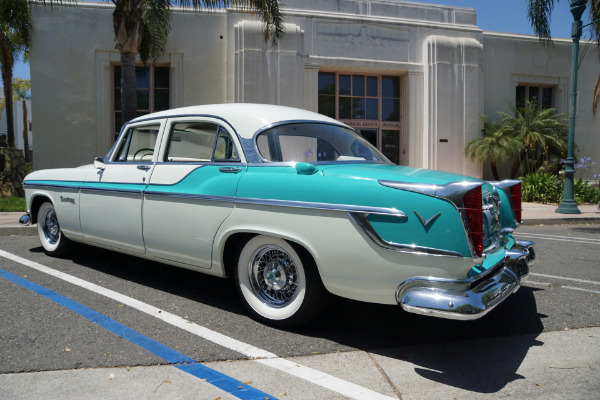 Chrysler was to complete a completely new from front to rear and inside and out model line-up beginning with the 1955 models and what a terrific line up it was, bearing little in common with the old 'stodgy looking' Chrysler of previous years, except for the Hemi engine! 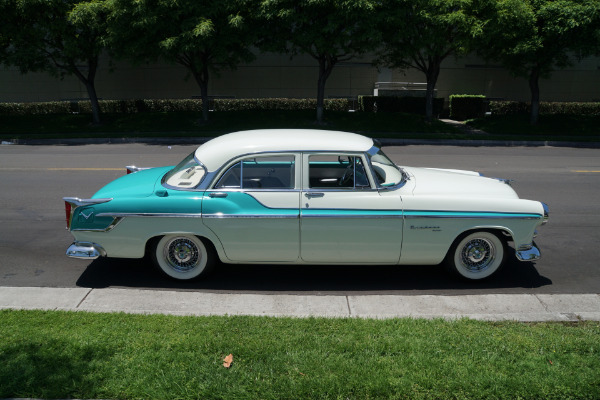 Chrysler now had 5 divisions with a line up of cars to match GM in every market level with the Imperial as it's top-of-the-line model directly aimed at Cadillac and Lincoln. 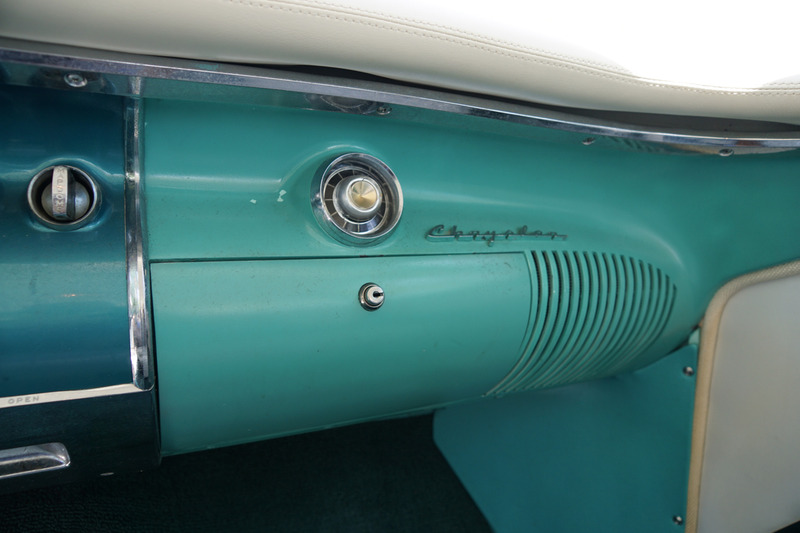 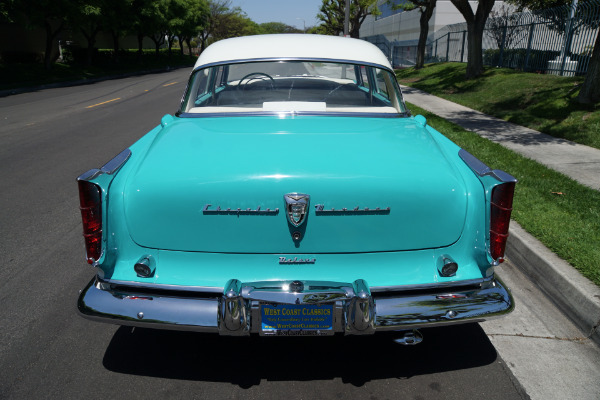 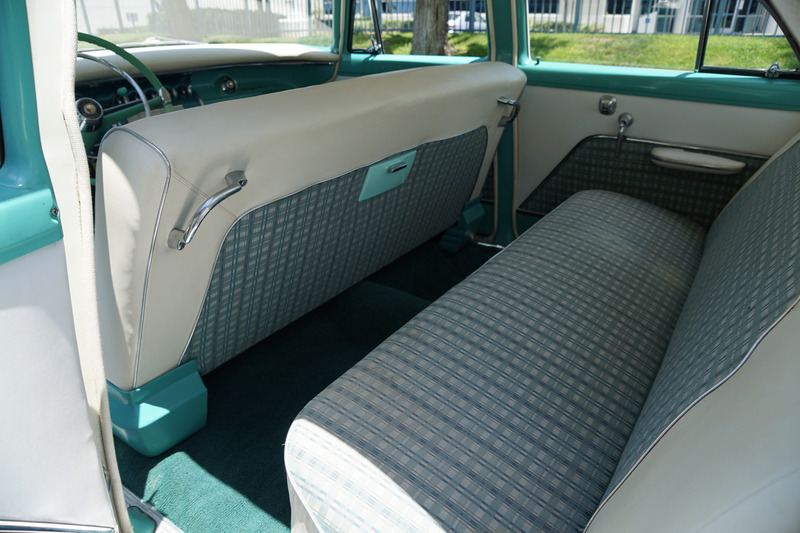 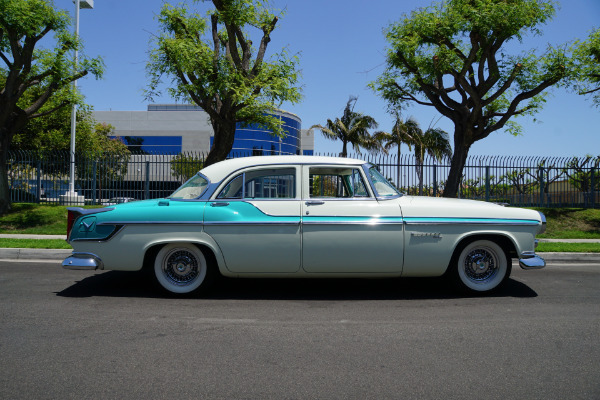 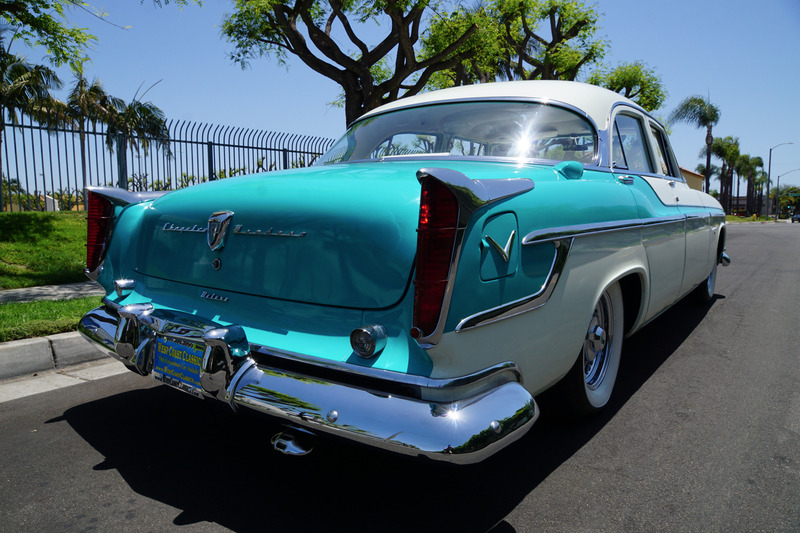 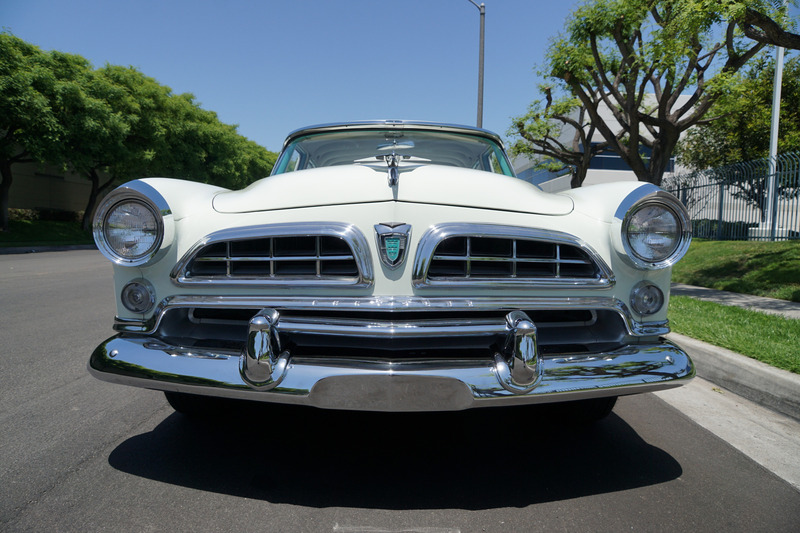 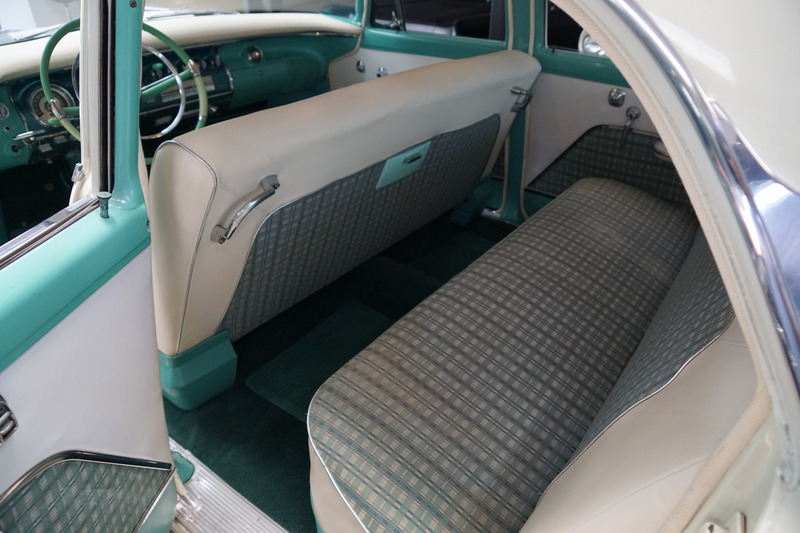 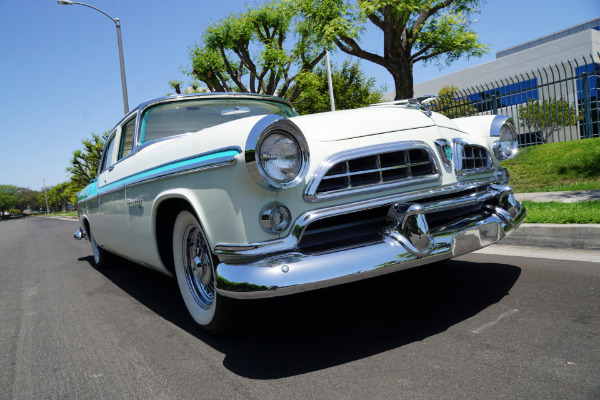 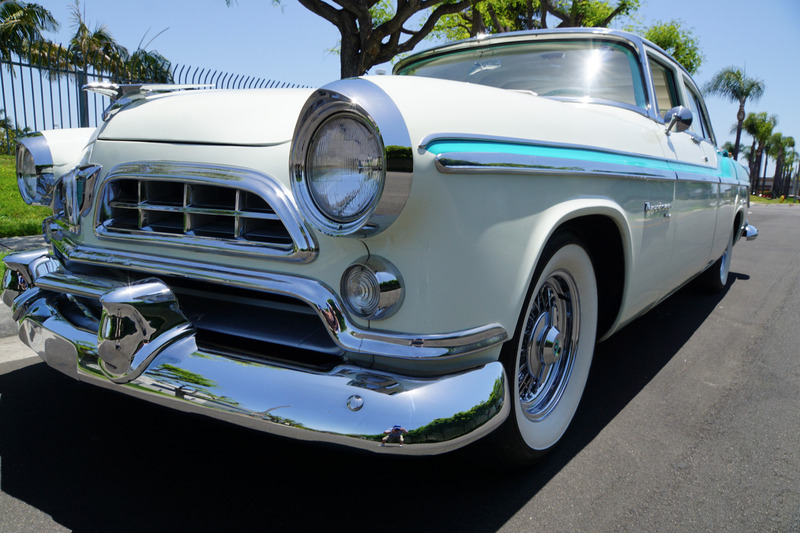 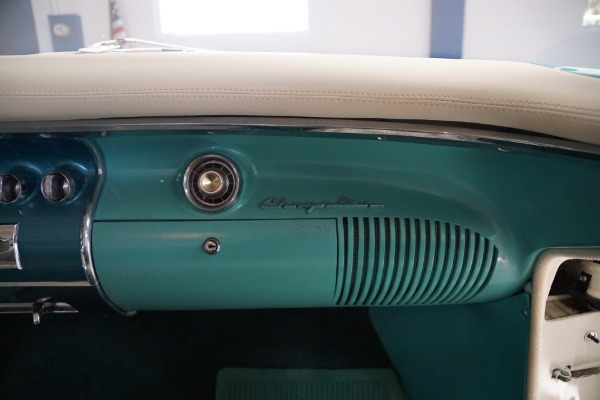 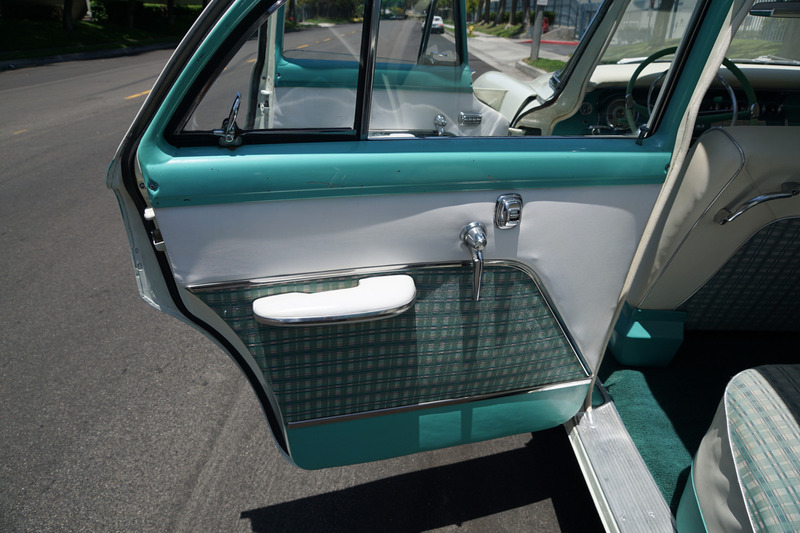 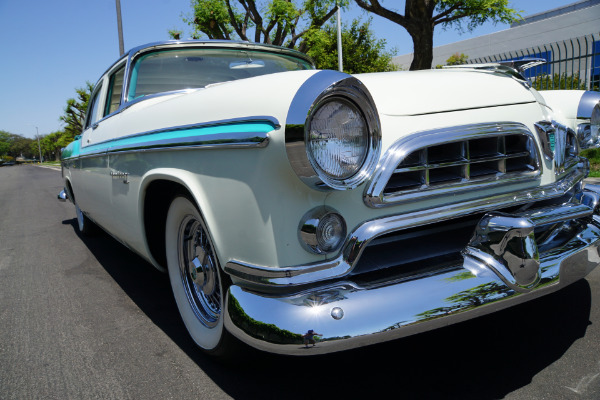 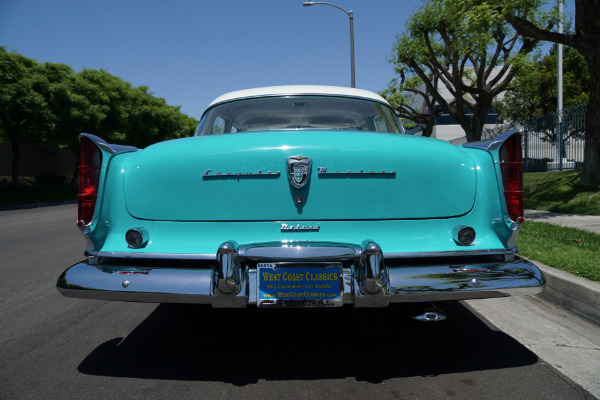 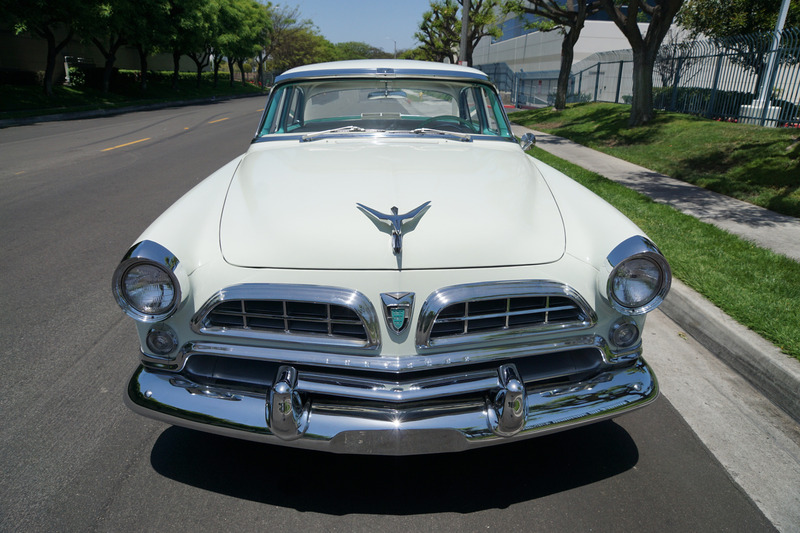 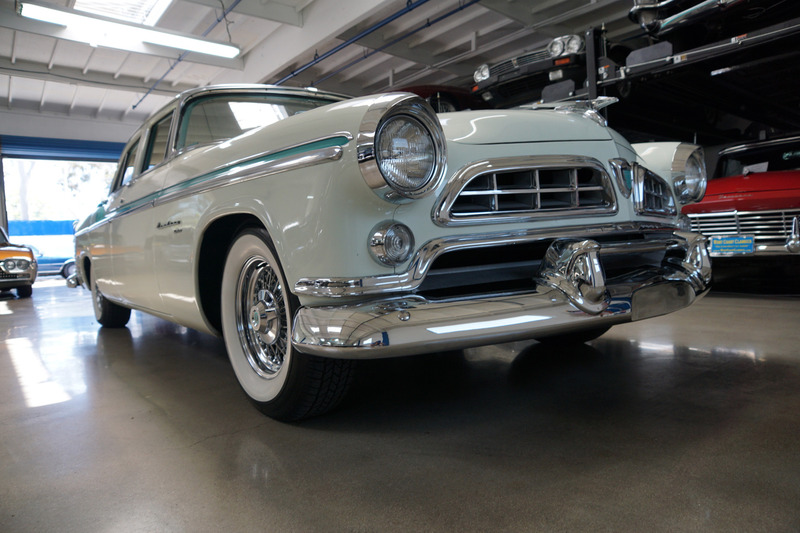 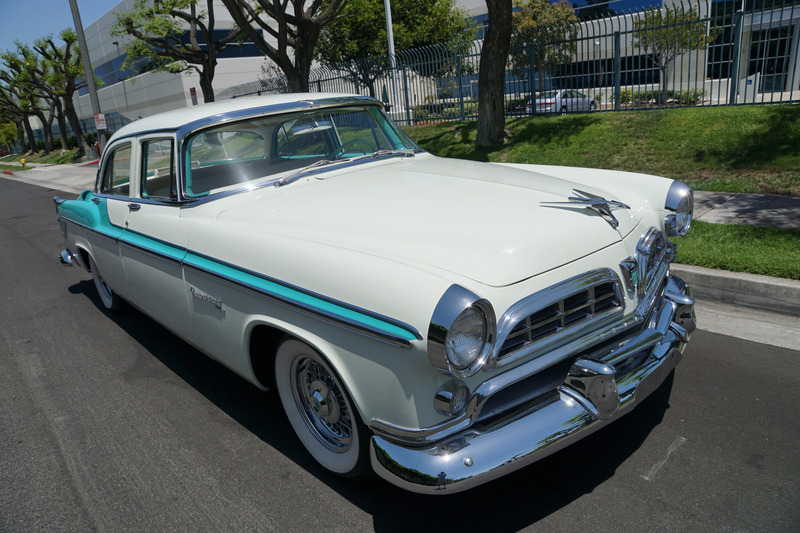 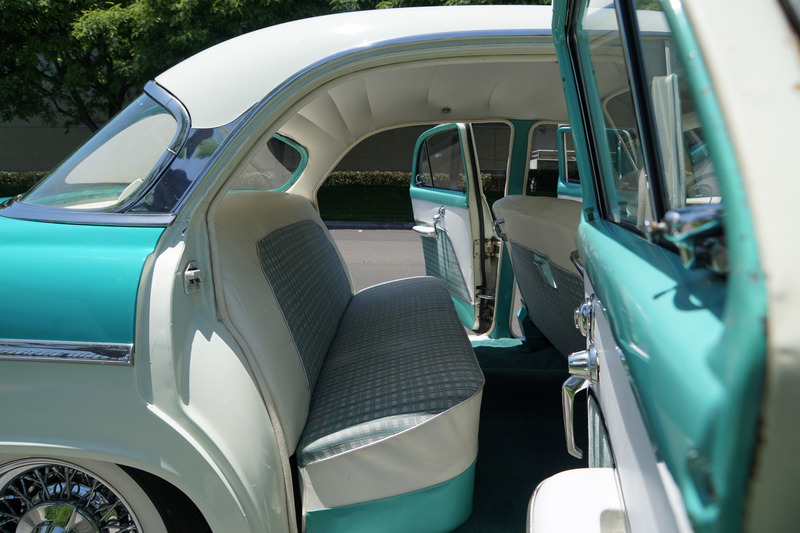 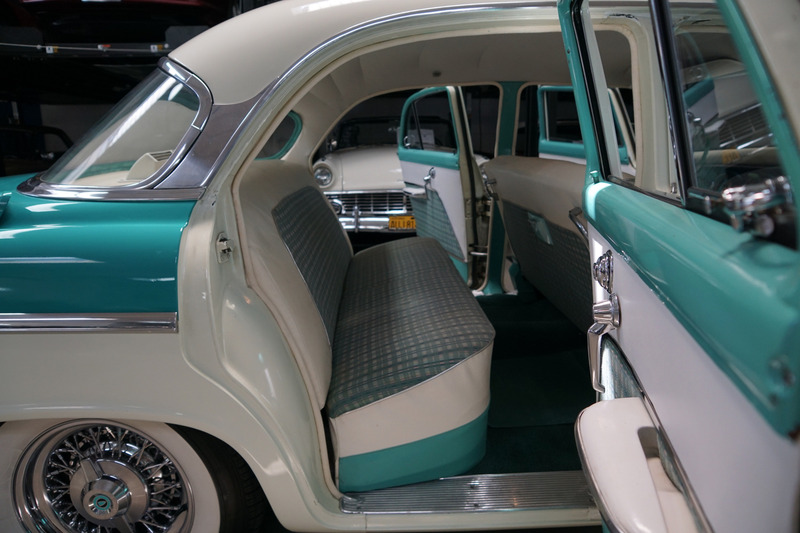 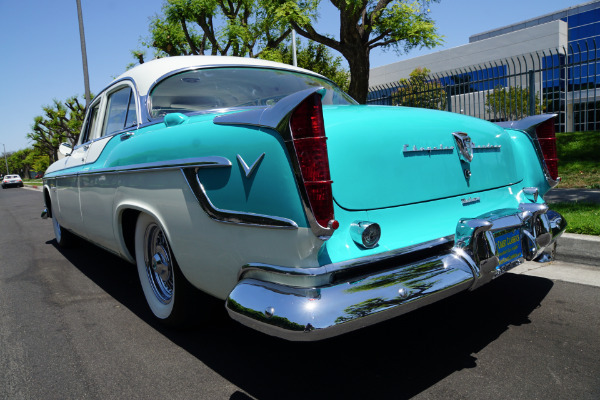 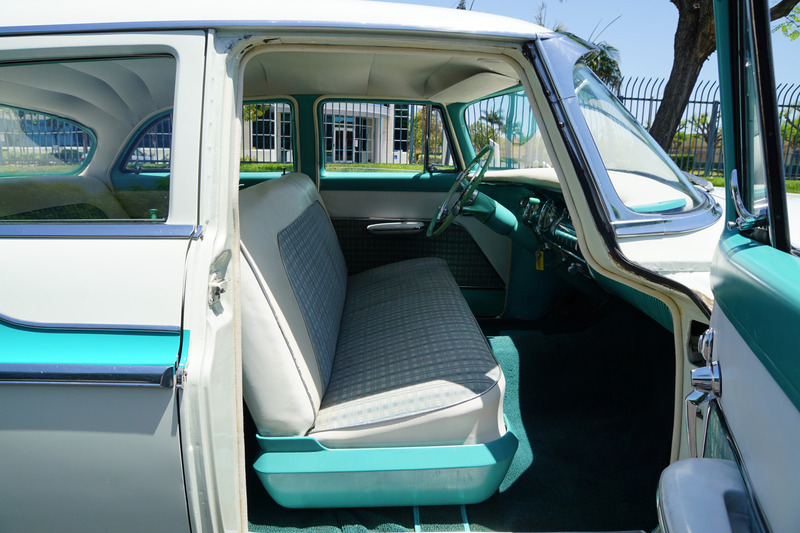 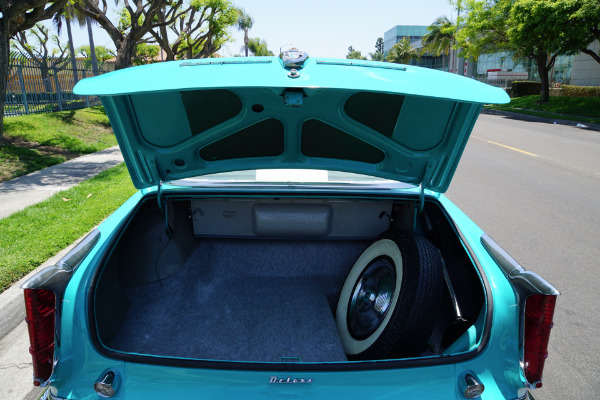 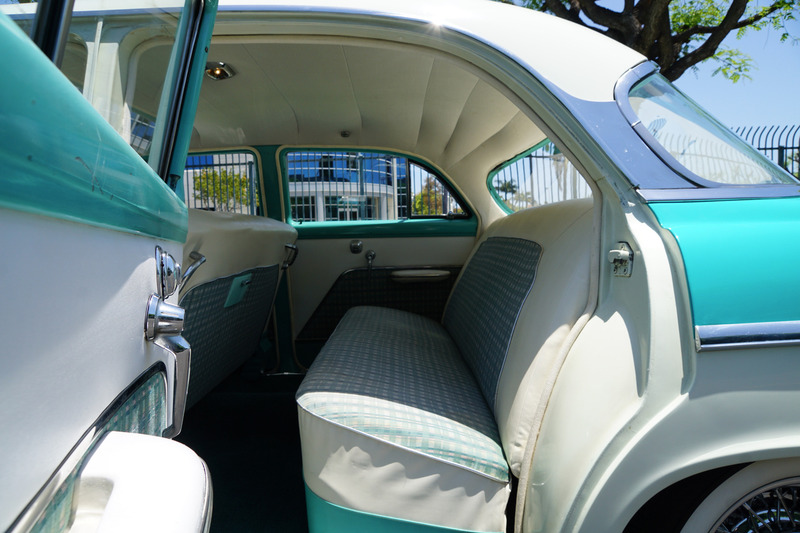 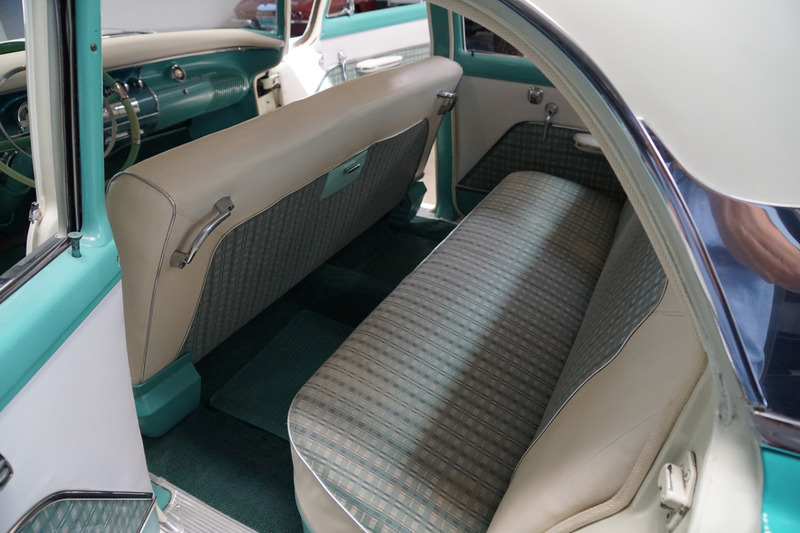 Styled by Virgil Exner and his team, Chrysler had now positioned itself at the forefront of the industry. 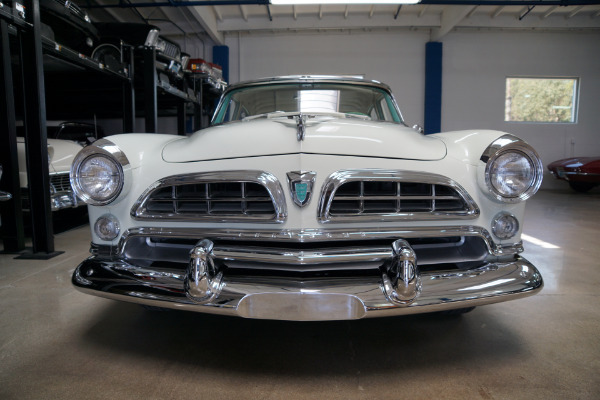 The new look began with an all new big split eggcrate grille set below lowered front fenders and hood lines and boasting heavy chrome. 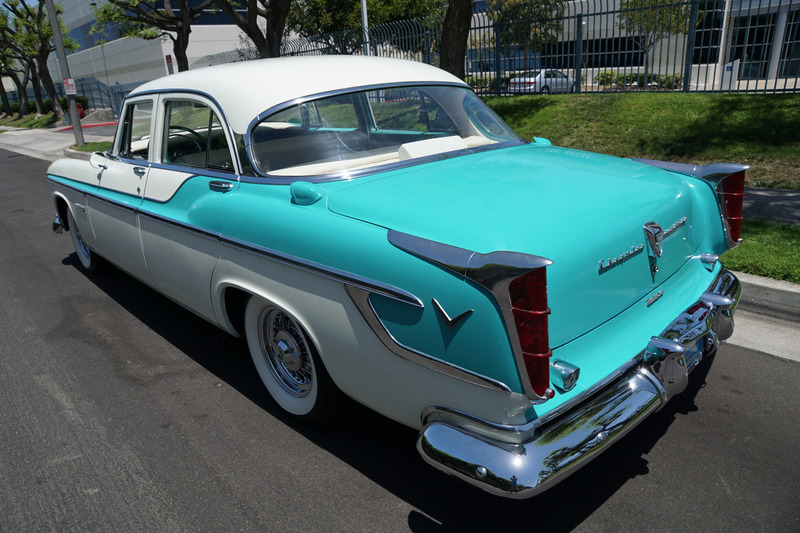 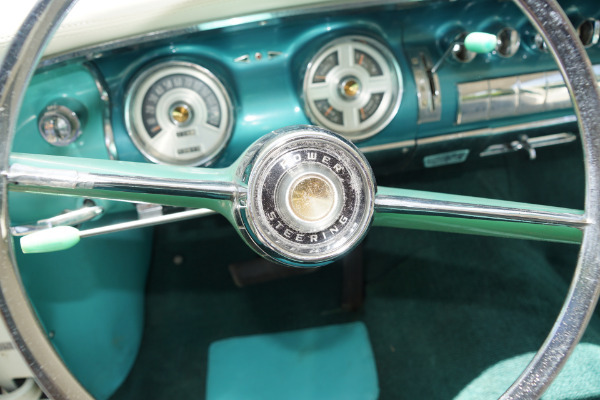 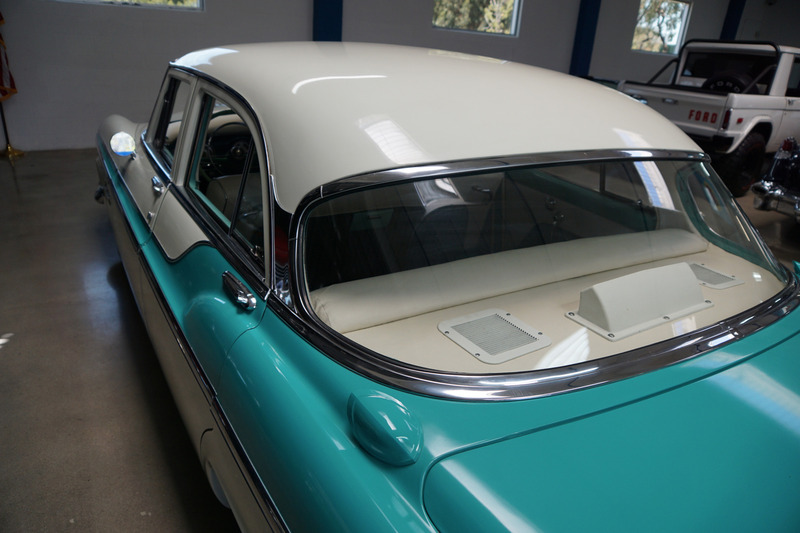 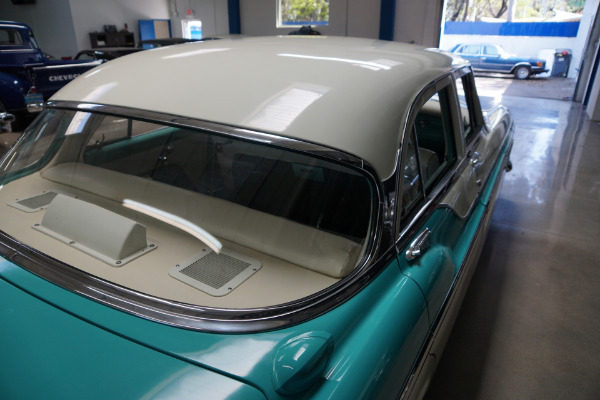 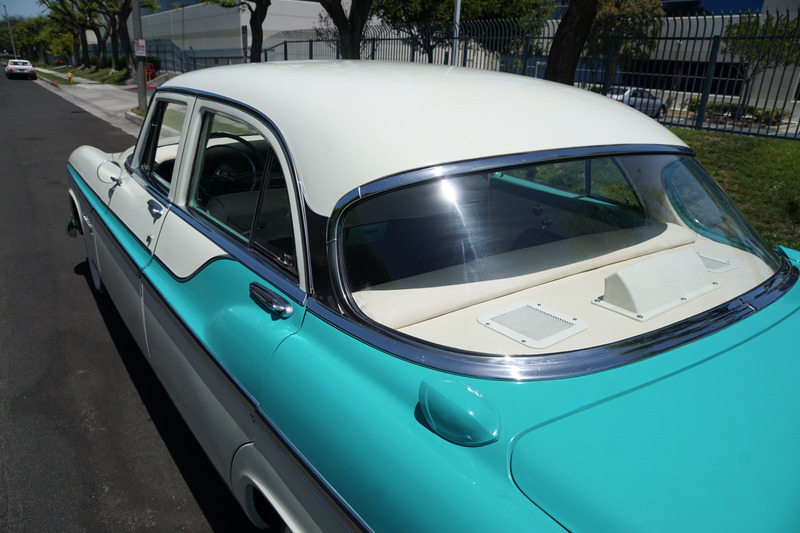 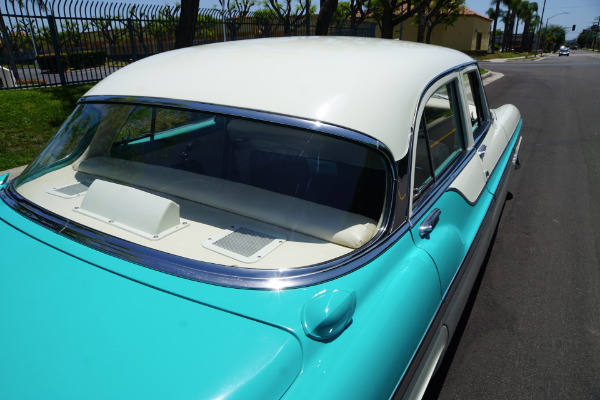 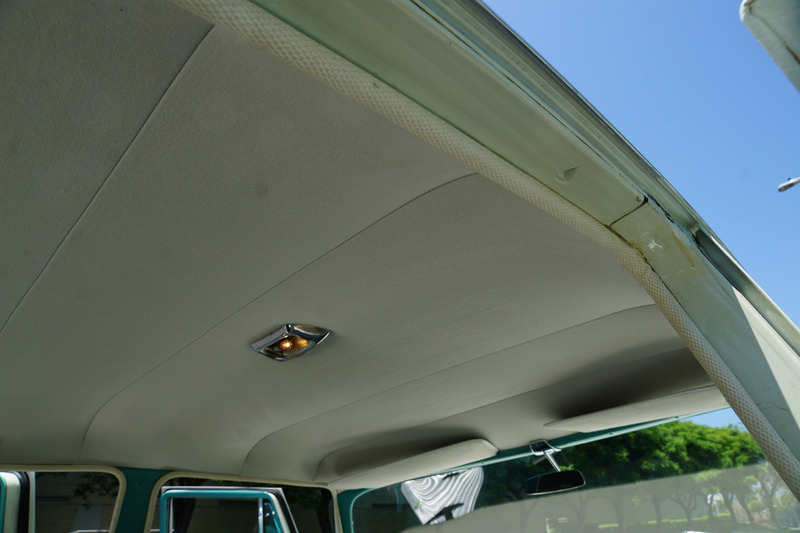 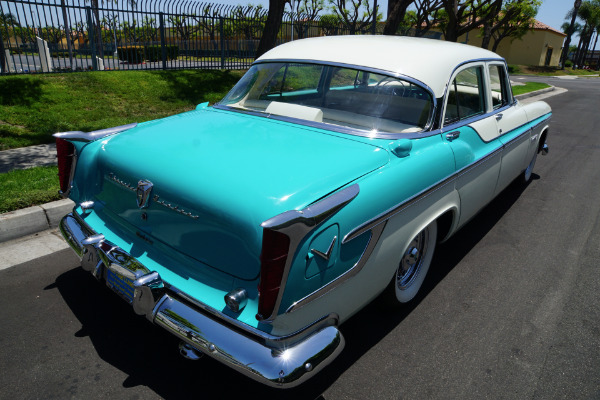 Wraparound 'Super Scenic' windshields were also a first for Chrysler and bodysides were smooth with few feature lines except for the two-tone trim and the tall chrome encased 'Twin Tower' tailights. 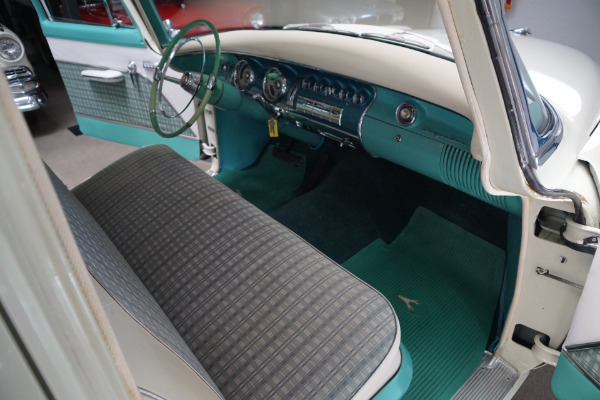 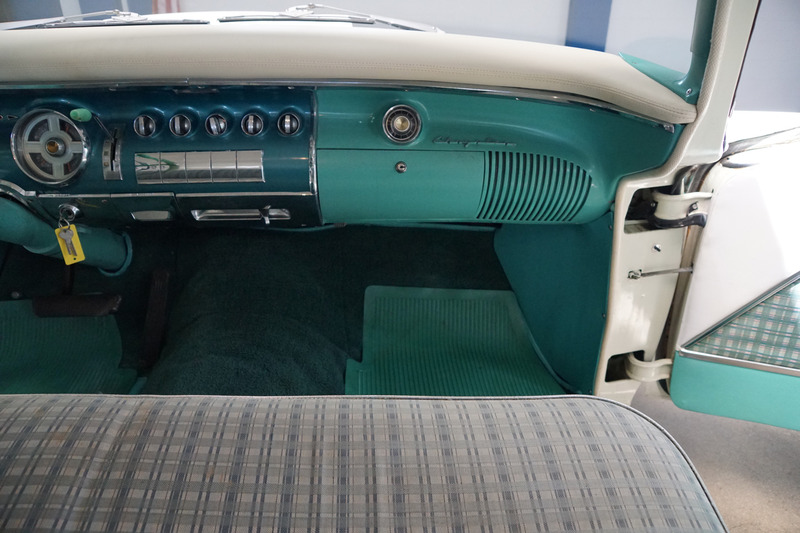 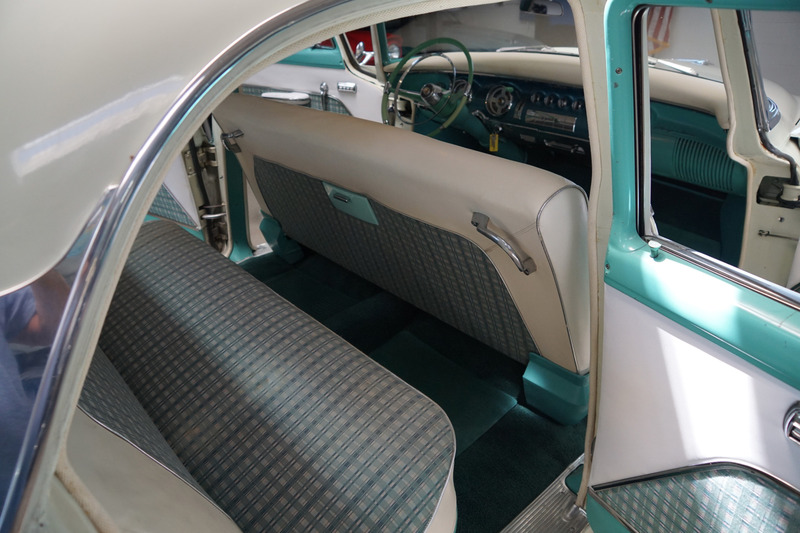 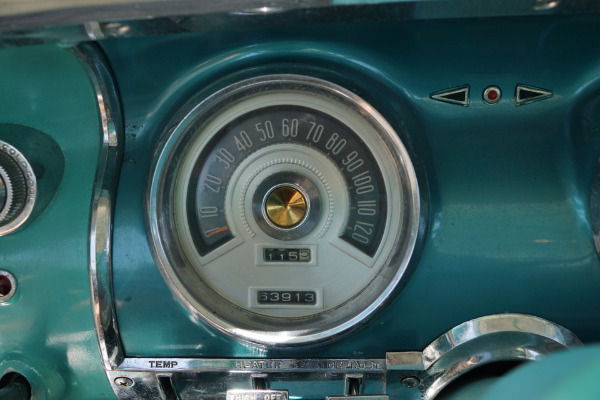 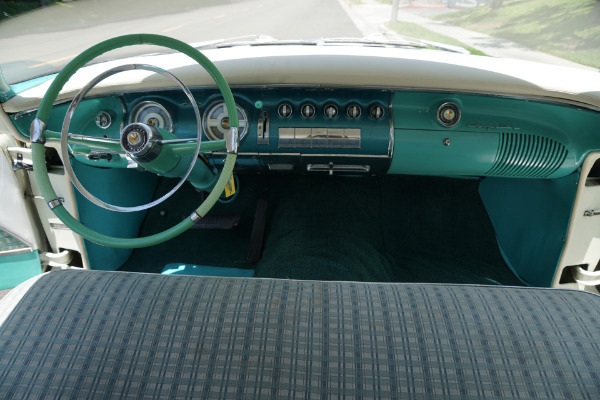 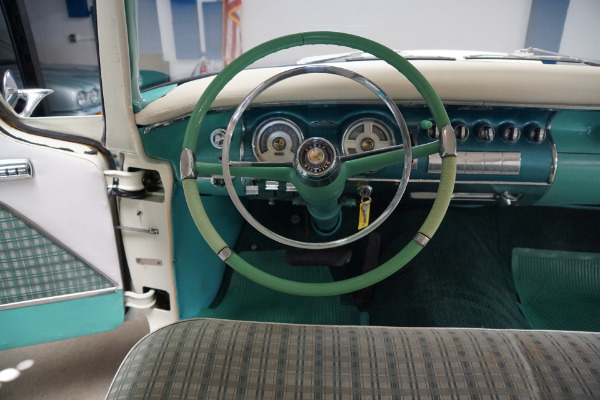 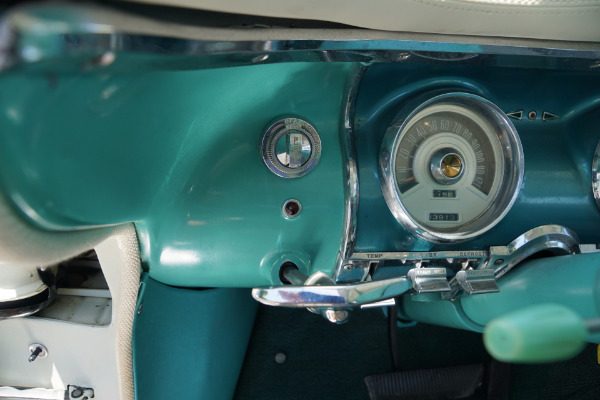 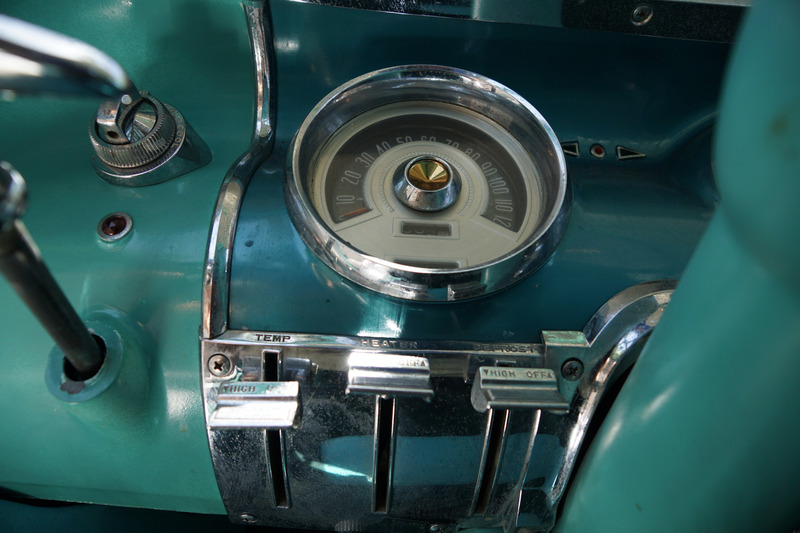 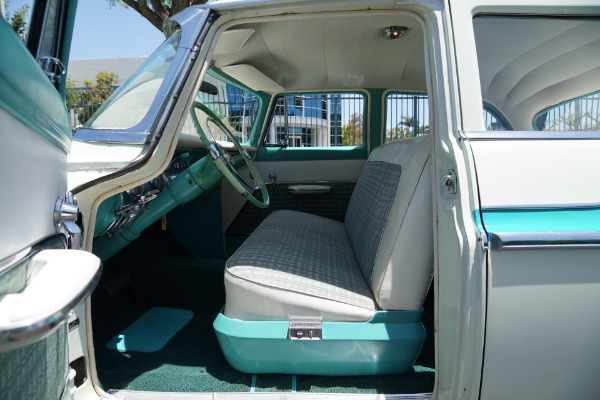 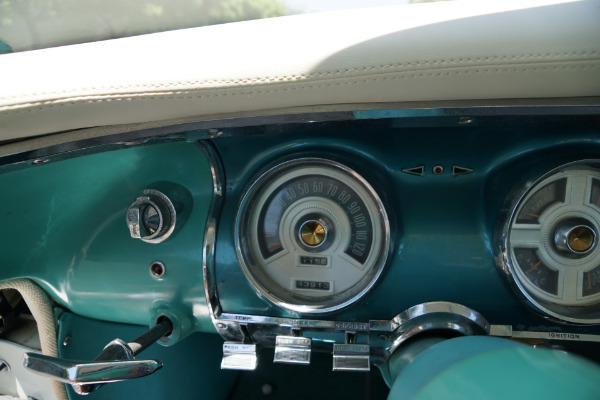 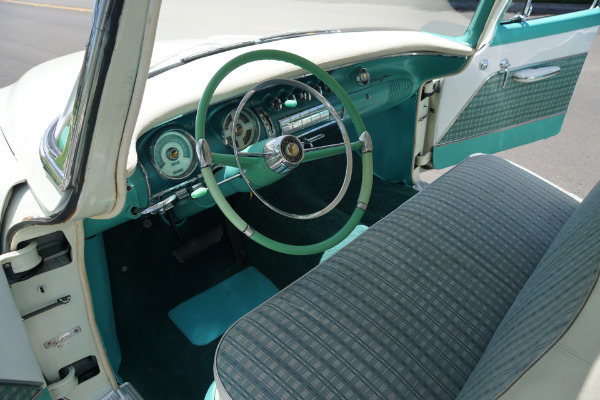 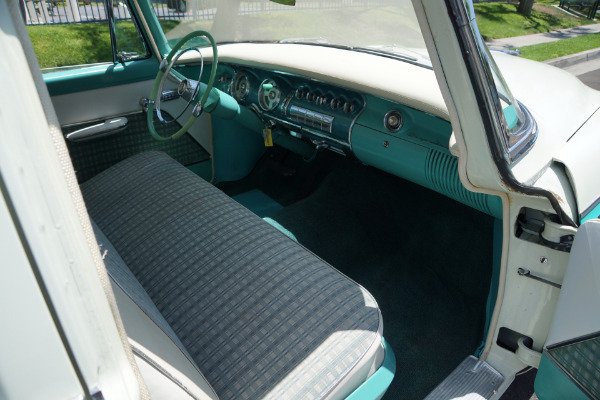 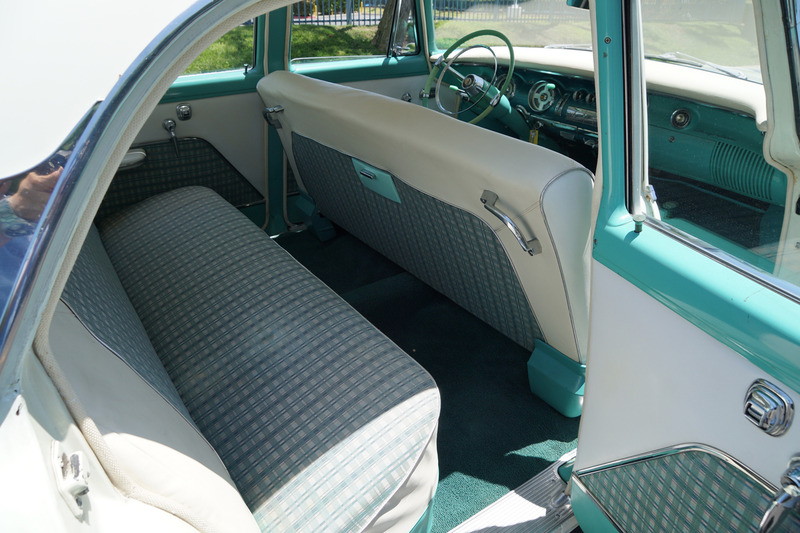 Interiors sported new colors and materials and were highlighted by an all new instrument panel design with the placement of the transmission selector, dubbed the 'Finger tip' PowerFlite range selector, being located on the instrument panel rather than in the standard steering column position. 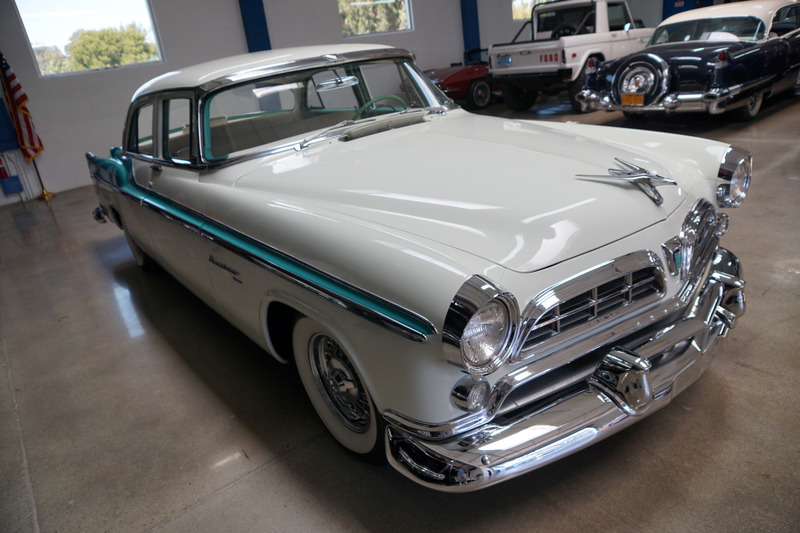 This would prove to be a one year only design for Chrysler and is now another of the car's very unique and striking features. 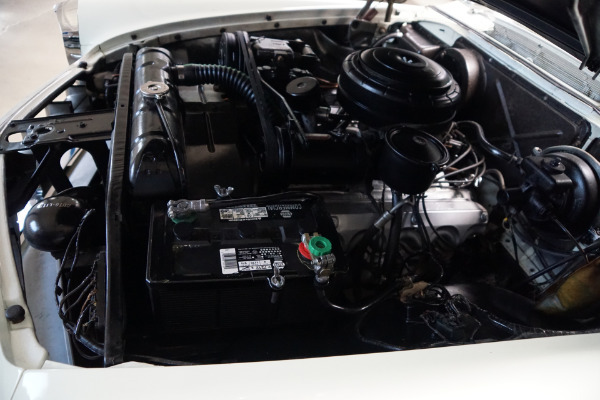 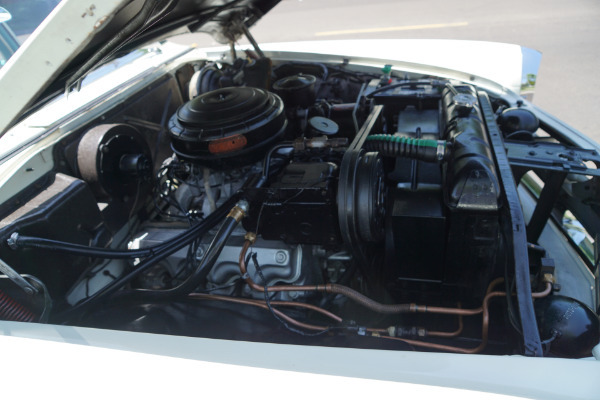 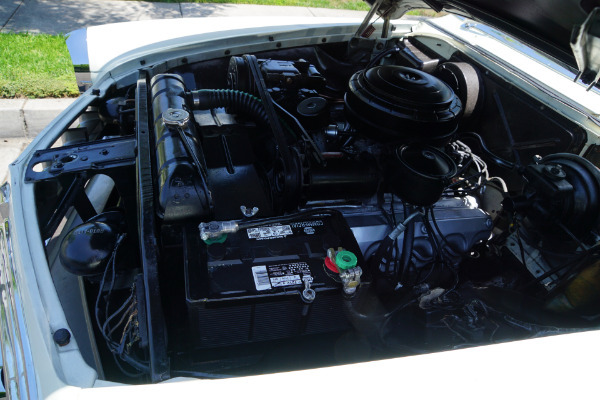 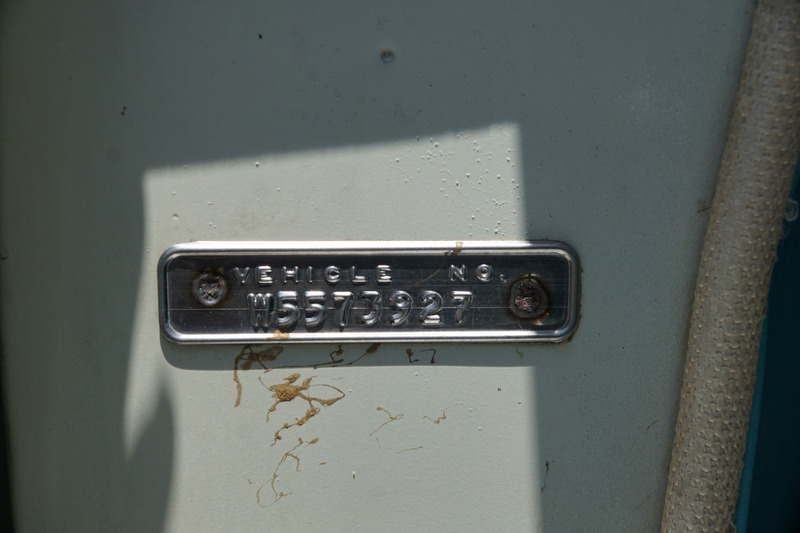 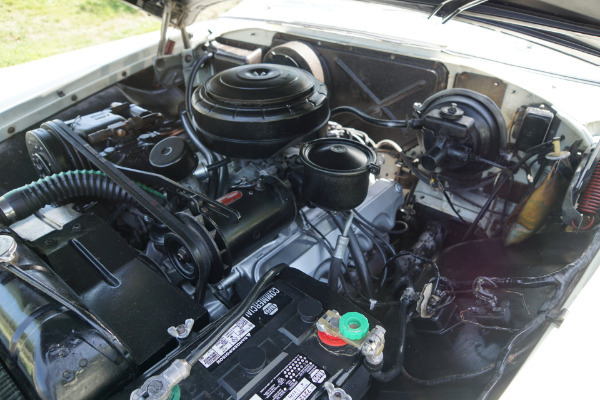 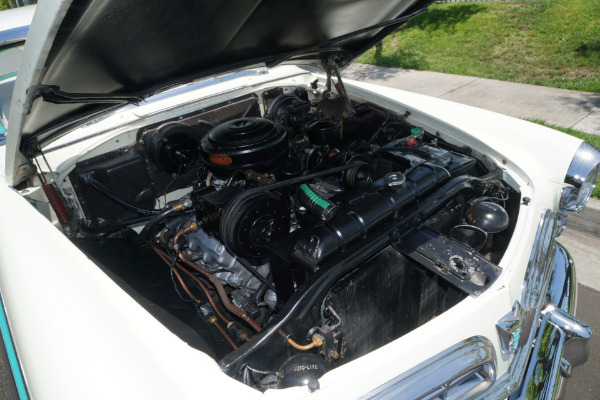 Power was supplied by Chrysler's all new 301 V8 for the Windsor DeLuxe line, essentially a smaller bore version of the 331 V8. 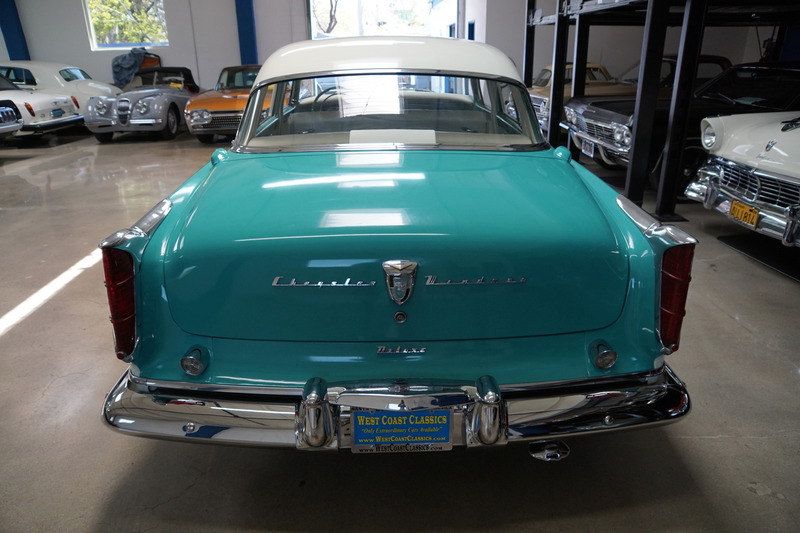 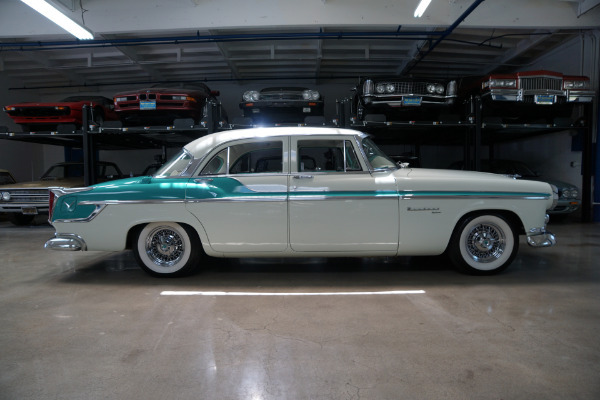 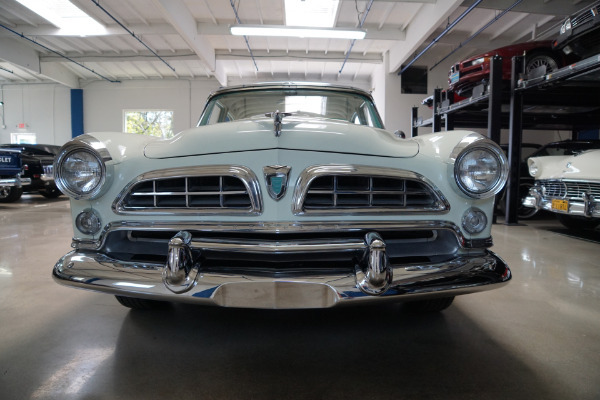 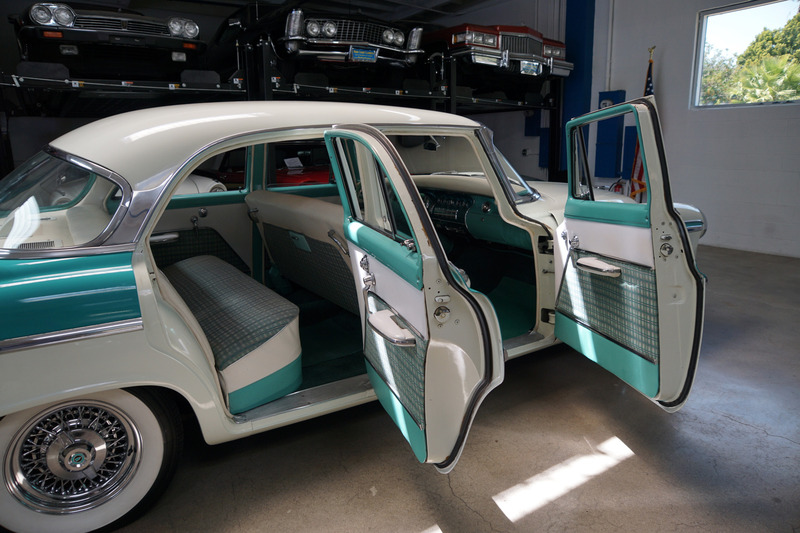 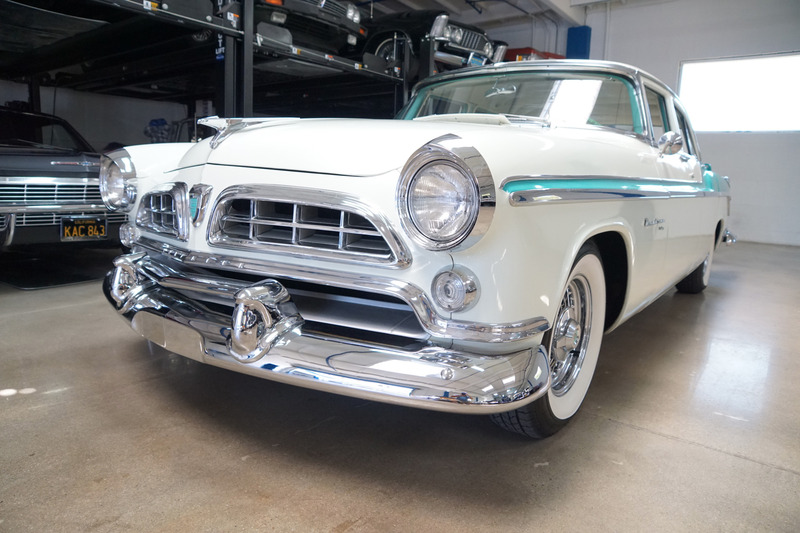 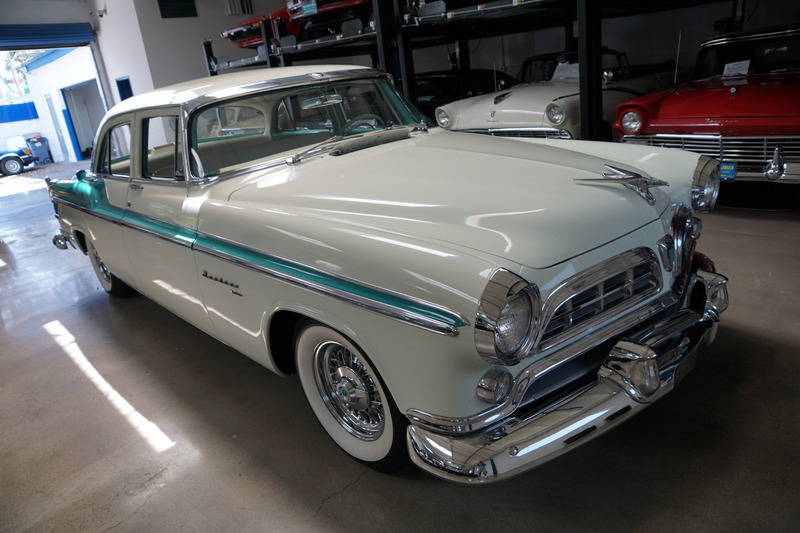 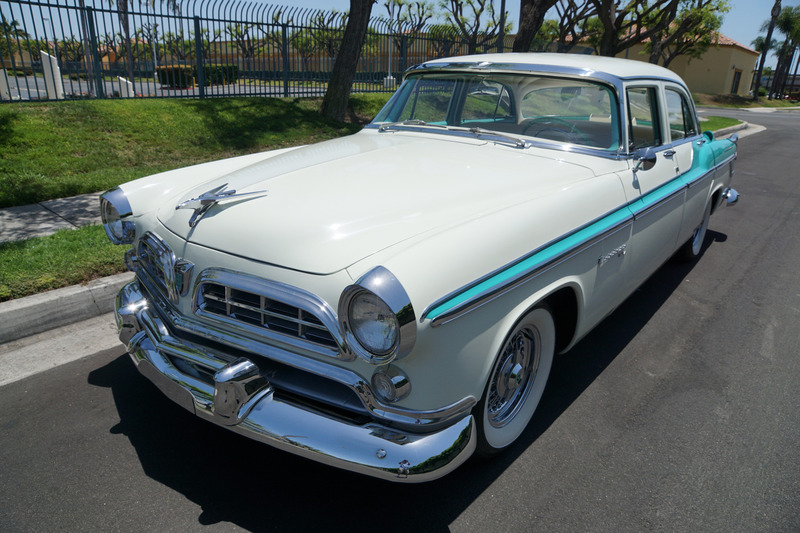 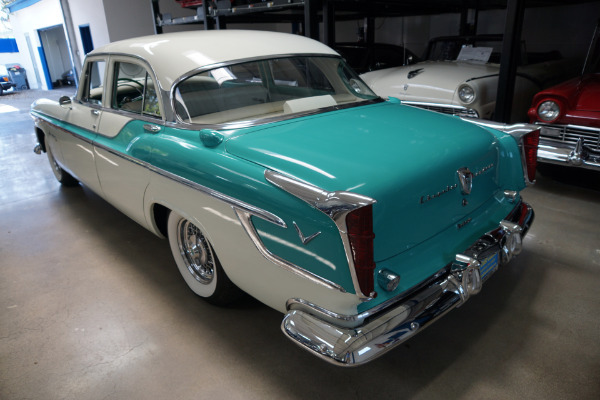 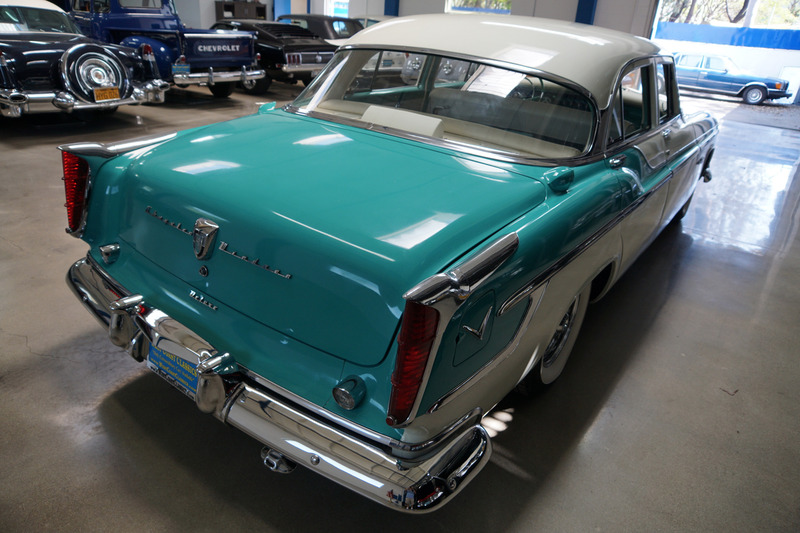 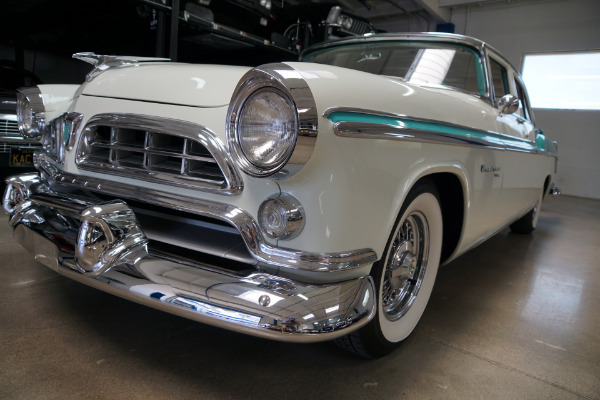 With very few remaining models of this caliber left, this is an extremely unusual opportunity to own a great daily driving example of this first year and rare and very desirable and collectible 1955 ChryslerWindsor DeLuxe 4 Door Sedan in very fine daily driving condition for any classic American car or Mopar enthusiast to enjoy or collect today!